4. Apply glue gel onto the rib pairs, you can apply all four shapes in a time, or one at a time. 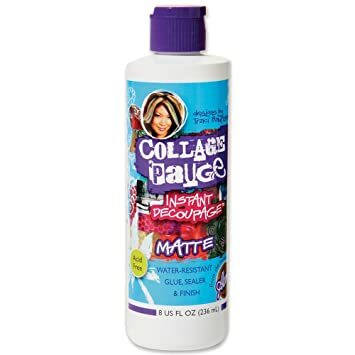 I pick decoupage gel as bellows glue both for inner and outer layer, for they are water based, designed for fabric material, and they are easy to use, can be re-positioned without difficulty, and most importantly, it is water resistant and fabric still feel soft. This is water base glue, so before it is totally dry out, it seems the stickiness is not so good at work, but don't worry about that, and we can get good use of this characteristic, adjust the position without any problem. Align shape with bottom line, never forget this!! 5. Now kraft paper base of rib pairs has done their job, successfully carries rib pairs onto inner layer, they should be torn off. Spray a mist of water on top of the kraft paper, let the paper soak water, this will reduce stickiness of repostional adhesive as well as decoupage glue gel, so it helps tearing off kraft paper, but be cautious of the ribs too. After tearing off the paper, ribs are still wet, decoupage gel won't stick them tightly unless totally dry out, so we iron the ribs, to speed it out. 6. Take a piece of oven paper, which is waxy, preventing iron directly touch the nylon cloth, also ribs sticking onto iron. Do not iron outside the oven paper, if iron touch the cloth directly, it may leave marks on it. Notice that after ironing, ribs are firmly stick at inner layer, when I turn the layer to other side, ribs twitches with cloth, showing that dry out gel do the good job.